John says he briefly joined Herman Hermits as bassist for their "Yardley" tour of Germany but unfortunately the only gig he recalls is Hamburg. Peter Noone has substantiated JPJ joined them on this tour. Note: Jones joined a local band for a jam on 'Green Onions'. Note: Led Zeppelin attend a party held in their honor and hosted by Ahmet Ertegun. Jones (on organ) jams with Phil Carson on bass, Jerry Greenberg on drums and local musicians. Note: Jones joins Madeline Bell for 'Colour My Soul' on BBC 2 television. Note: Jones joins David Gilmour, Steve Broughton and Roy Harper...billed as Roy Harper and Heavy Friends. Note: Jones & Page join Bad Company, Duster Bennett for encore jam on 'Rock Me Baby'. Note: Joined Etta James on bass. Note: Joined Maria Muldahr on bass; her hit single was 'Midnight at the Oasis'. Note: Jones jams with Swan Song label mates The Pretty Things. Note: Jones performs with all-star lineup during Paul McCartney's 'Concert For The People Of Kampuchea'. Note: Joins Robert Plant for encore; 'Little Sister'. Note: Jones joins The Mission on keyboards for an encore of 'Shelter From The Storm' including references to 'Rock And Roll'. Note: Jones joins singer Julie Felix on a dull, damp and misty summer's day. Note: Jones joins Lenny Kravitz for 'Are You Gonna Go My Way' for MTV's Annual Music Awards telecast. Note: Jones attends all five of Heart's performances in residency for their Road Home album and dvd project. String and acoustic arrangements, plays mandolin, and performs bass version of 'What Is And What Should Never Be'. Note: Guest on the late night 'Open Mike With Mike Bullard' television program...plays a bit of 'Going to California' on the mandolin during interview. 10.2? Lunel, France Mandolines de Lunel (Lunel Mandolin Festival) Note: Jones attends a mandolin festival on the invitation of Mike Marshall, whom he had met at Merlefest…joins him for one song on double bass. 12.06 Barnet, England The Green Man Note: Jones joins guitarist Adam Bomb and his band onstage for five songs. 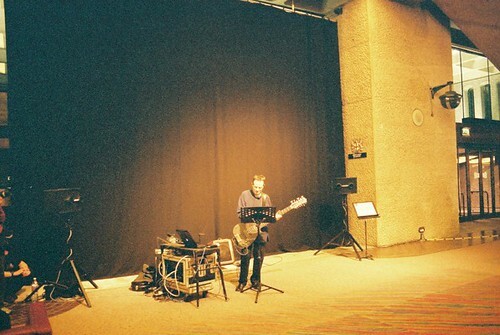 06.19 London, England Barbican Centre Note: Jones appears as a guest musician in the pit with the Merce Cunningham Dance Co. Additions and corrections to this gig-ography are welcome, as are posting photos, vidclips, reviews, recollections, etc. 10.2? Lunel, France Lunel Mandolin Festival Note: Jones attends a mandolin festival on the invitation of Mike Marshall, whom he had met at Merlefest…joins him for one song on double bass. You are a brilliant source of information. Thank you again!!!! Hello Steve! You are a brilliant source of information. Thank you again!!!! It's a shame he didn't make it Down Under. Zooma and The Thunderthief would've been great live. Do you know if he had any plans to tour Oz and NZ? Crimson went on to play a few dates in North America. Steve, what did JPJ do if anything between 1980 and 87. I know he worked with Cinderella and Buthole Surfers as well as the Scream for help soundtrack. Is there anything more that you know about? Note: Jones joins ensemble for two 45 minute events during 'John Cage Uncaged'. Musicircus to be staged in Europe with more than 345 people divided into 51 groups performing simultaneously or carrying out various actions in unexpected places throughout the Barbican. John Paul Jones played a flashing bass guitar. 07.24 - It was when Uncle Earl members met JPJ for the first time and they played a 2 hour set. Musicians: Takehisa Kosugi(MD), John Paul Jones (Led Zeppelin) and Kaffe Matthews - JPJ used a triple-necked mandolin and Kyma. Host Lenny Kaye joined them on the last song of their 4-song set. John Paul Jones on Mandolin, who appeared on the programme as John Blodwyn but was introduced properly by Robyn onstage. JPJ & Hitchcock also performed a 3rd song, a Hitchcock favorite 'Ole! Tarantula'. 10.27 - John Paul Jones played bass with the Italian Bluegrass Trio. 10.28 - John Paul Jones performed with Hamilton di Hollanda's Brasillian band. 06.15 Bonnaroo 2007, Other Stage - John Paul Jones joined Gillian Welch and David Rawlings on stage. John Paul Jones joined Ben Harper, Michael Ward, Kirk Douglas and Ahmir Thompson in the Bonnaroo Superjam. John Paul Jones joined Ben Harper and the Innocent Criminals for 'Dazed And Confused'. in the biography on his site. database will be updated to reflect them. The following Thursday, Tench was back at Largo, playing with Sara, Sean, Greg Leisz (pedal steel), and Gabe Wicher (fiddle), to a crowd of about sixty-five. They played some Watkins songs, and one by Tom Brosseau, a sweet, off-kilter singer-songwriter from North Dakota, who is Flanagan's tennis partner and often plays at Largo. After a bit, Sara said, "If Jon B. wants to come up and play with us on this song, he should." From the back of the room, a tall, loping figure in a leather jacket, with thick dark hair and lively eyes set in a pale face, made his way across the floor, carrying a guitar: it was Jon Brion, a virtuosic musician, producer, and composer, who has had an always-sold-out show at Largo for a dozen years. with pleasure by the end. "Nice boyfriends," Flanagan said to Sara when the show was over and the audience was reluctantly drifting out. "That was the most ridiculous band," Brion said. "You couldn't hire that band, you couldn't afford that band, you couldn't get them together. By all accounts it shouldn't have happened." Keltner went home; so did Jones. The others sat around till well past midnight, taking turns on Jones's mandolin, which he had left behind. That would explain any lackluster reviews of his performance. I find only one 1980 release by Lamella ("Wasting Your Time" b/w "When Julie Dances", Direct DO B1), but the credited producer was David Satchell. Do you have any more info? that is why i love this website, you never stop learning new things. hadnt heard of this jam before and was not aware that RP & JPJ hooked up much after LZ crashed. At that time i read new a report that Mr.Jones was producing a double CD album with his own classical compositions. so there was some truth about back then. i wonder why it was never released somewhere ? then funded by Mercedes Benz. i remember seeing this great performance for free on a big open air space in Berlin then (1993? ), but i have no knowledge if JPJ toured with the group who were multimedia artists working with their bodies, fire & flame throwing, self built cars, wild masks - generally quite avantgarde in a shocking mad max kind of scenario. and there was kind of a band that were playing mostly wild, industrial music. quite amazing then, again i have no idea why the music never was made available, not even at the performance. It's my understanding John's direct involvement was limited to being musical director for the showcase in Seville. My reference notes show "Jones produces a single for Eastbourne-based rock group Lamella" was reported in the August 1981 issue of 'Tight But Loose', the Led Zeppelin fanzine published by Dave Lewis. Let's ask him. Jones was commissioned to be the musical director for the "Memory Palace" exhibit at the 1992 World's Fair in Spain. It featured multimedia performances by several artists, including Karl Sims and La Fura Dels Baus. Jones had previously assisted La Fura Dels Baus with their 1990 production "Noun". It was released on Red Byrd's 1990 album Songs Of Love And Death. thank you mucho, Steve! i shall look into that. i am sure to remember that the music to the whole performance i saw was credited to have been composed by JPJ. Just to accelerate your quest, here's a link to Liquid Selves! Enjoy. This short computer animation depicts the upcoming struggle between the virtual and physical sides of our selves, where our bodies are left behind as technology enhances our ability to exist in virtual worlds. A collection of techniques were used to produce this animation. Particle systems were used to disassemble and reconstruct various images. Artificial evolution and interpolation of 3D parametric shapes allowed the creation of unusual surface transformations. Morphing techniques produced smooth transitions between faces, and various image processing, warping, and compositing techniques were also employed. This piece was rendered on a Connection Machine CM-2 computer. Merci for clearing that up, Swandon. Similarly, vocal duo Red Byrd's collection wilfully mixes the haunting formality of 16th Century Italy with uncharacteristically lovely settings of poems by Led Zep's John Paul Jones! Unfortunately for Red Byrd, it's the use of modern guitar and bass that really catch the attention, particularly in the twisted, fractured textures of Frank Martin's'Trois Poems' (8). Isn´t it a bit curious that JPJ seems to lead a secret and not well documented life as Choir Master sometimes? !